Amongst chassis manufacturers Antec stands out as one of the most popular companies. Even though primarily known for their chassis Antec has already expanded their influence in different directions with other quality hardware such as their power supplies. Their cases are usually very unique and we have reviewed models from Antec before. Everyone likes to show off their cool case with unique designs but that’s not the goal especially in budget builds. This time for review we have much simpler but more affordable case the Antec Sonata Proto which is an extension of the similar design in Sonata Elite and Sonata III 500. The testing will include basic functionality and installation of the case. How well it fits the hardware, the features available and overall pro’s and con’s. 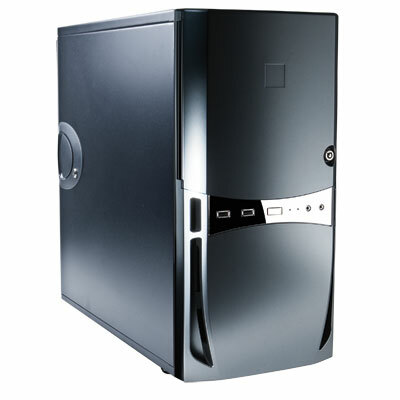 The affordable Quiet Computing™ case is here. Introducing the Sonata Proto: get all the features and performance of the renowned Sonata line of enclosures without breaking the bank. With 9 drive bays, 7 expansion slots, an intake air filter, the Sonata Proto offers a plethora of features and has all the quiet performance that the Sonata line is famous for. Along with its convenient front mounted USB 2.0 and HD audio connectors, the Sonata Proto is the ideal combination of silence, efficiency and affordability. Now let’s take a look at the features that the Antec Sonata Proto brings to the table. Never underestimate the ease of use of a smaller case. I have found my personal preferences have gone toward these smaller cases and away from the full tower cases just due to weight and portability. Of course installation and customization is never easier than with a larger case.